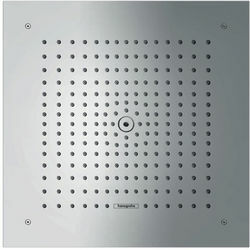 Hansgrohe > Raindance E Air 1 Jet Shower Head (400x400mm, Chrome). Hansgrohe Raindance Air square shower head with 1 jet in chrome. 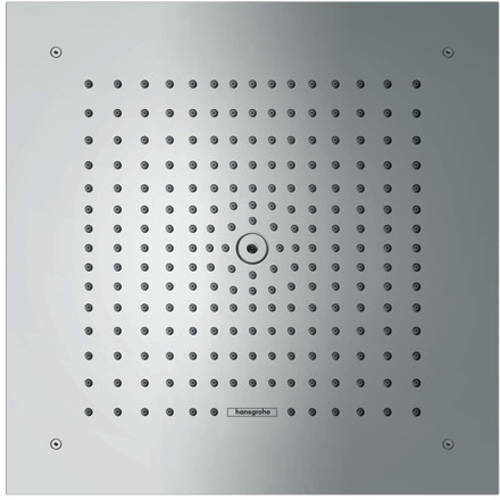 Raindance E square shower head (1 jet). Spray pattern: RainAir (rain jet enriched with air). 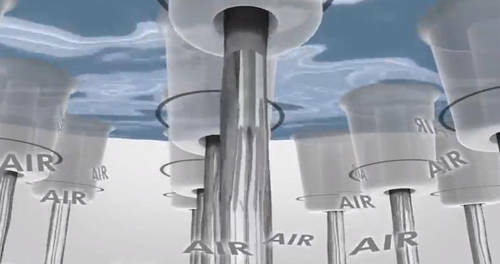 Maximum flow rate (at 3 bar): 22 l/min. Suitable for concealed shower valves (sold separately). 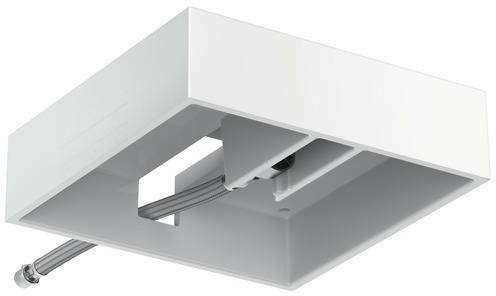 Easy installation: Basic set for Raindance E 400x400mm Air overhead shower box included.